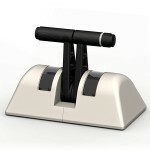 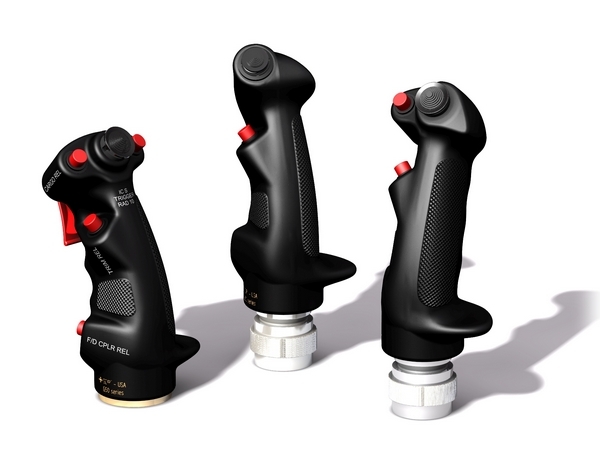 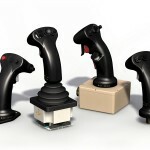 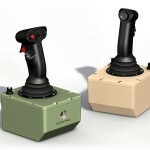 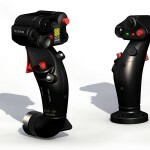 G50 series represents the most popular aircraft control-grip. 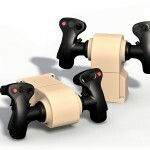 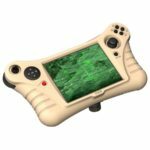 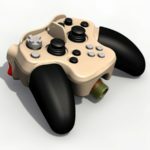 Our molded composite plastic grips use a specific material for higher robustness and light weight. 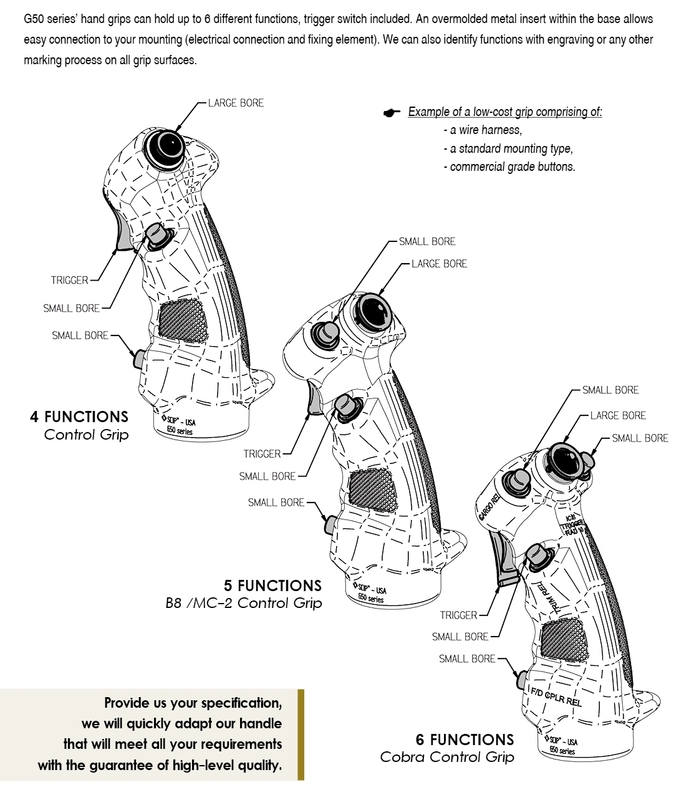 Optimized design allows easy maintenance and fast repair. 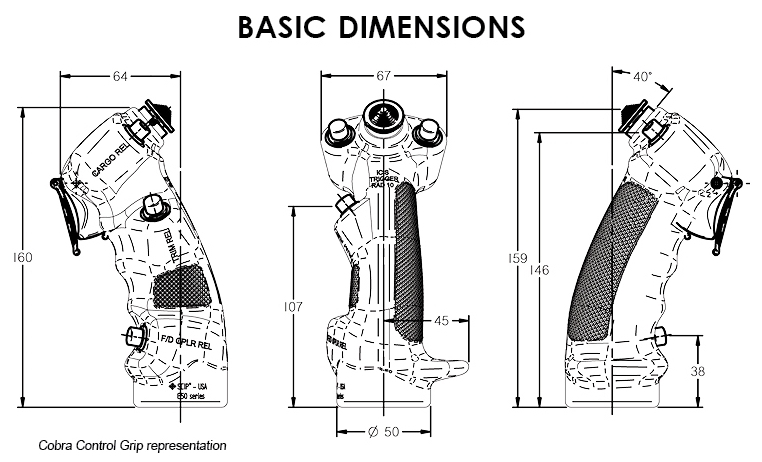 Our custom configurations include 3 ergonomic heads, a variety of MIL switches and different termination styles. 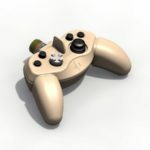 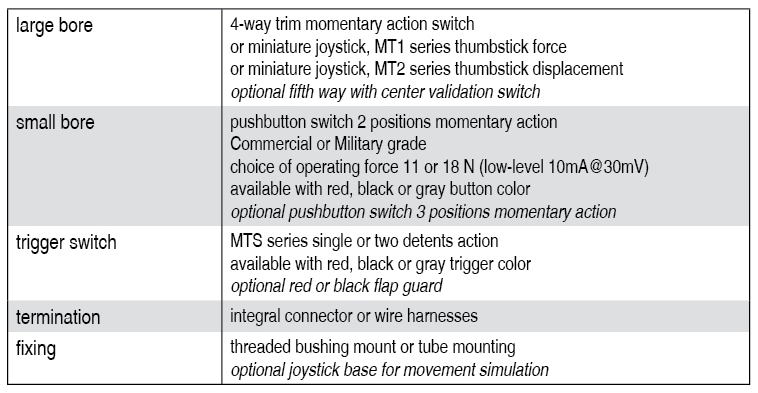 G50 grips are pre-bored for an usual buttons integration (see table below). 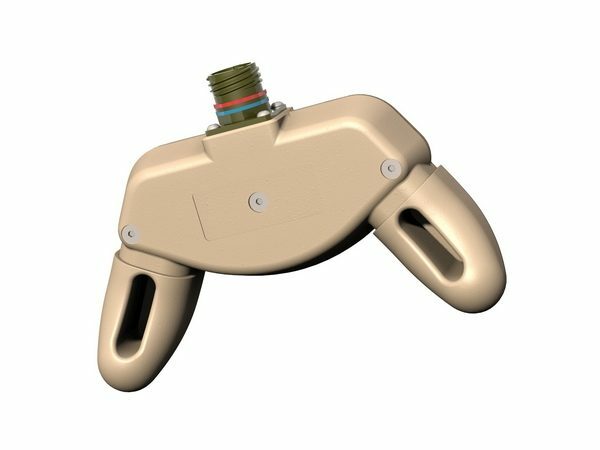 Upon request, we can customize your handle to integrate other types of electromechanical buttons & fixing elements.